Concept Multimedia publishes the most important real estate ad magazine under the brand name “Logic-immo.com”. 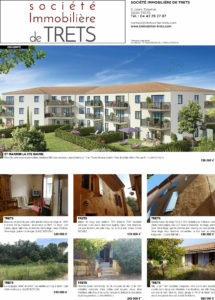 The magazine is available in about twenty local versions, in most real estate and employment areas in France. The number of issues is also adapted to each local market to cover the specific requirements of each areas. The magazine is distributed and offered free of charge in hand or in displays positioned in strategic places of traffic to target the core target group of individuals looking to buy, sell or rent real estate. Concept Multimedia customers have a wide range of pre-integrated graphic templates at their disposal. General information such as logo, phone number, address, etc. is pre-positioned and can be easily modified. Real estate agents then work in the publisher’s back-office to select and edit the information of the properties they wish to promote. Simple Workspace is called via an API to lay out the ad with InDesign Server. The real estate agent can immediately sign the print approval for the publication of the advertisement, or make changes and iterate again. The print-ready PDFs are then automatically generated and ready for distribution to the general public. The solution made it possible to bring the ad closing date closer to the publication deadline: the real estate agents now promote properties that are more likely to be available at the time of publication. IT helped reduce drastically Quality round trips between the customer and his supplier. They are dematerialized on the website from Simple Workspace.